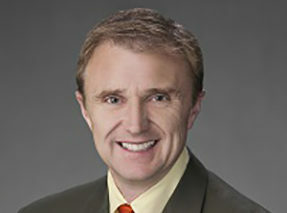 Prior to becoming the Chief Executive Officer of ZIOPHARM in May 2015, Dr. Laurence Cooper was a tenured Professor (early/exceptional promotion) at The University of Texas MD Anderson Cancer Center (MDACC), with joint appointments in the Division of Pediatrics and Department of Immunology. He also served as Section Chief of Cell Therapy at the Children’s Cancer Hospital at MDACC where, as a Visiting Scientist at MDACC, he will continue to lead scientific efforts to develop new treatment approaches which pair genetic engineering with immunotherapies. Dr. Cooper has coauthored dozens of peer-reviewed journal articles, abstracts, and book chapters. He has initiated multiple trials under INDs infusing T cells and NK cells. He is undertaking the first protocols using a new approach to gene therapy based upon the Sleeping Beauty transposon/transpoase system and has helped develop clinical-grade artificial antigen presenting cells for numerically expanding and activating lymphocytes. Dr. Cooper obtained his M.D. and Ph.D. degrees at Case Western Reserve University in Cleveland and then training in Pediatric Oncology and Bone Marrow Transplantation at the Fred Hutchinson Cancer Research Center in Seattle.